Paleo Energy Balls These deliscious little snack balls are great for on the go or fun lunchbox additions. 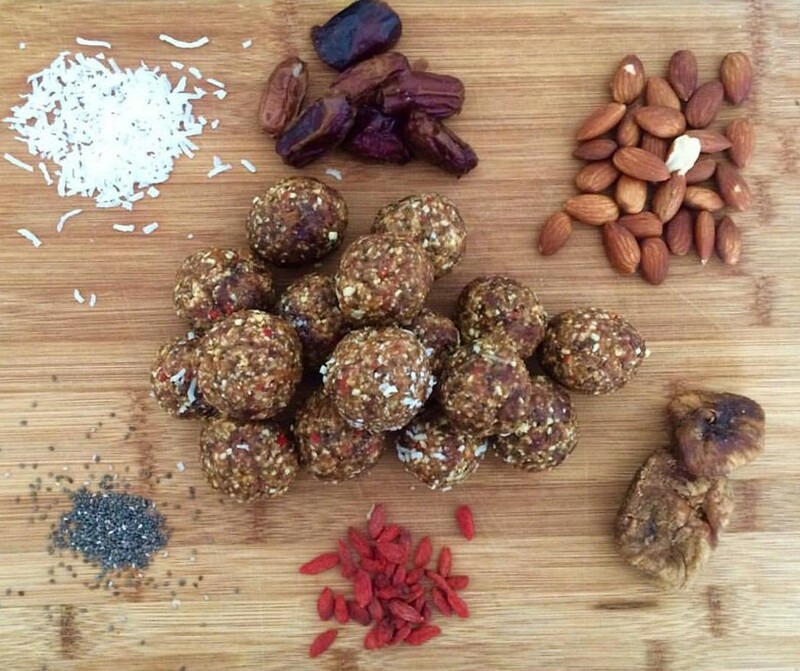 Full of fibre and protein, these little snack balls are great snacking items. Using a high powered blender/mixer, blend each dry item into a fine mix and blend together. Chop figs and dates into small pieces and blend into a soft mix. The key here is to blend (and blend some more) all of the items together. Melt your coconut oil in the microwave for 30 seconds to a minute (as required). In your soft mix (figs and dates) gradually add the dry mix, blending as you go. If you find that the mix is not blending as well, add a teaspoon of coconut at a time as this will help combine the ingredients. If you don't have a mixer, you can do this by hand, by working the dry items through as you go (quite the arm workout! ).